“SIMUWU” vacuum furnace manufacturer , Which is specialized for industrial vacuum furnace manufacturing for twenty years, The company was established by few experienced engineers who has been working in heat treatment industry and vacuum furnace manufacturing factories for about 20 years. With the advanced technology, powerful producing capability and professional engineering service. SIMUWU has been providing more and more high standard products and service to our customers around the world. 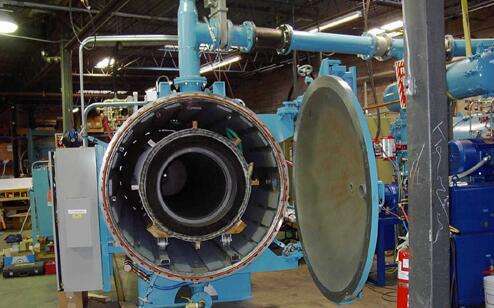 Horizontal Furnace, The horizontal vacuum furnace is the workhorse conﬁguration for the thermal process industry. SIMUWU vacuum furnace manufacturer offers systems with a wide range of qualiﬁed work zones to satisfy most customers requirements. vacuum furnace processes enable optimum joint precision, purity and quality. While in diffusion bonding, parts are connected nearly at their melting temperature under high vacuum with a press capacity up to 1 MN, the connection by vacuum brazing is achieved by high-temperature batches. In this way, all kinds of parts made of metal, graphite and ceramics, etc. can be connected ﬁrmly.